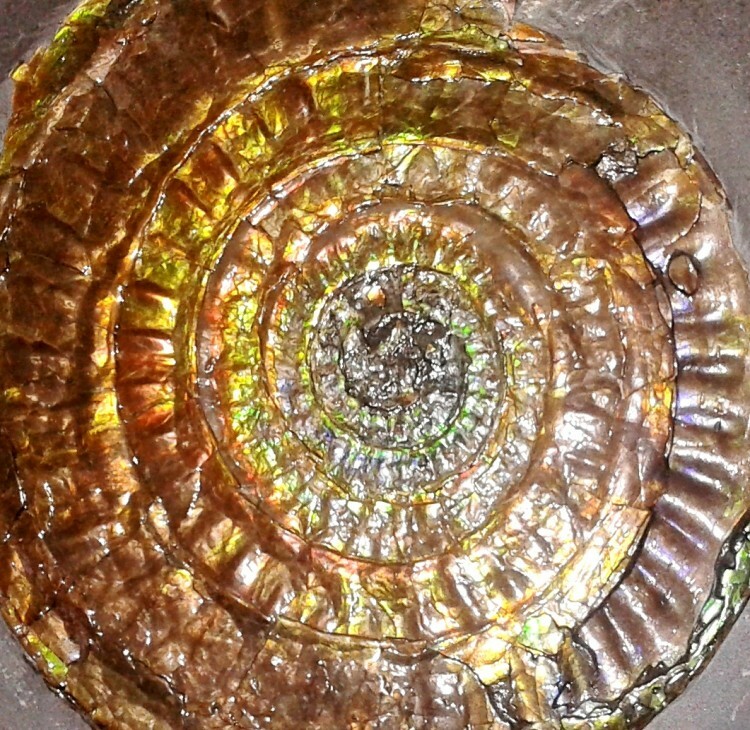 This superb irridescent, Caloceras johnsoni ammonite was discovered in the Jurassic Lower Lias, Planorbis Zone, Watchet, Somerset, UK. The ammonite is 201m to 145m years old. 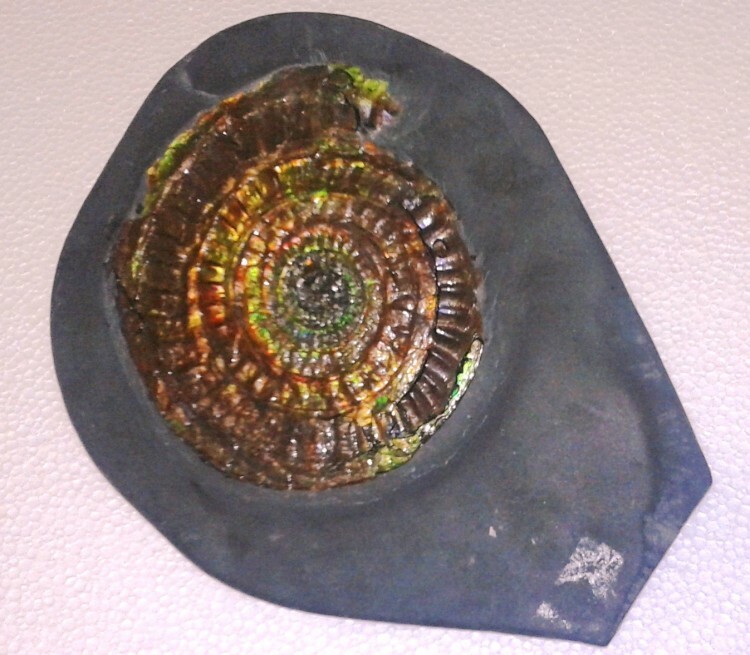 It takes hours of preparation to bring out the true colours of this incredible fossil, and this piece displays the typical colours of red, green, orange, and yellow. 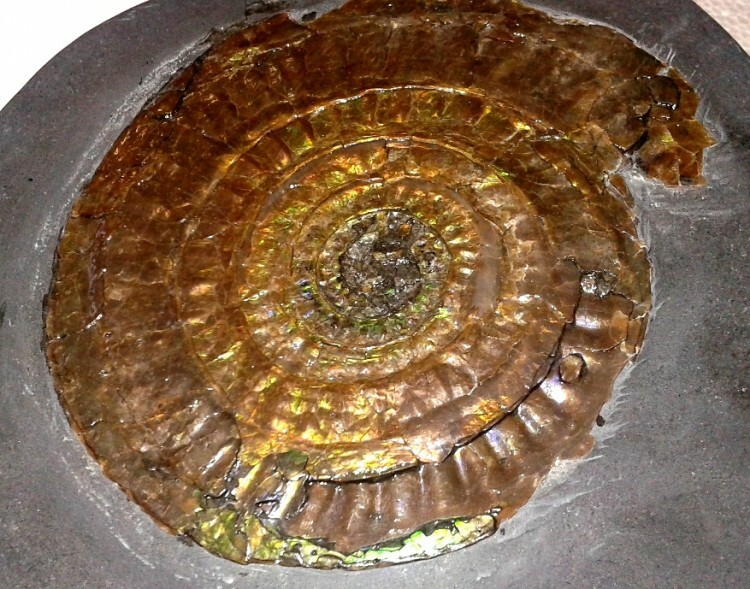 Ammonites' closest living relative is probably not the modern Nautilus (which they outwardly resemble), but rather the subclass Coleoidea (octopus, squid, and cuttlefish). 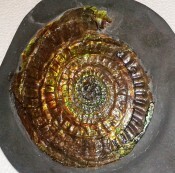 Their fossil shells usually take the form of planispirals, although there were some helically-spiraled and non-spiraled forms (known as "heteromorphs"). 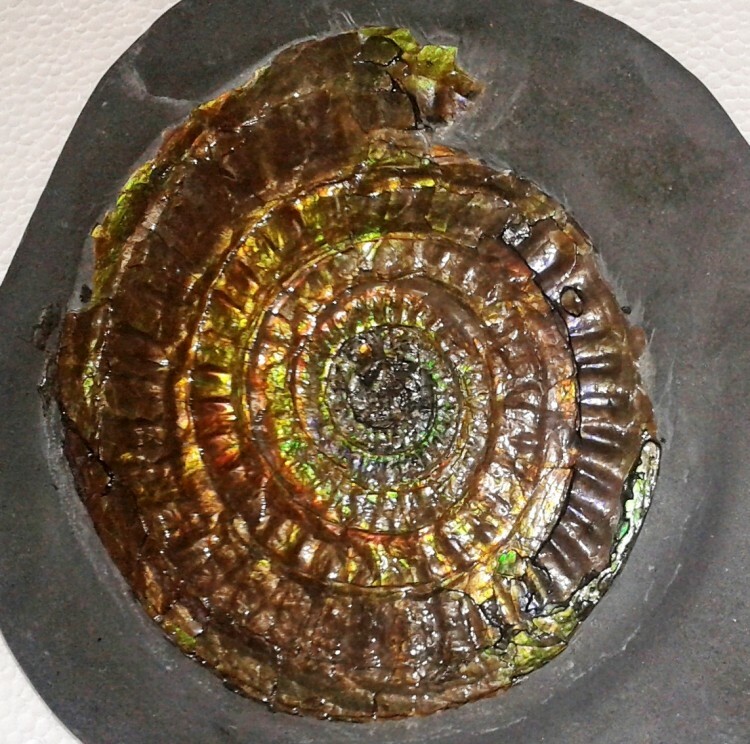 Ammonites were some of the first creatures to inhabit planet Earth, and, as such, are an amazing piece to own and display in the home. The preservation is exquisite, and this fossil is of museum quality. It would make an incredible addition to a collection, or an amazing display item. The fossil site where this was discovered is no longer accessible.